Not Old – Better is produced one to two times a week, and each show is roughly 25 ... See More – 30 minutes long. The shows are hosted by Paul Vogelzang sharing opinions and experiences with the audience. 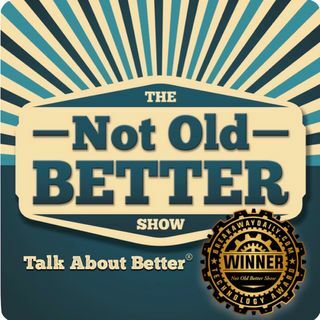 Show topics discuss issues such as fitness, health, mindfulness, new products, technology, ideas, culture, film, music, literature and many other themes, matters and concerns for the 50+ audience.